There are two options for note cards to complement your University stationery. Both are great for creating quick personal notes. One is a tall note card that fits in a standard No. 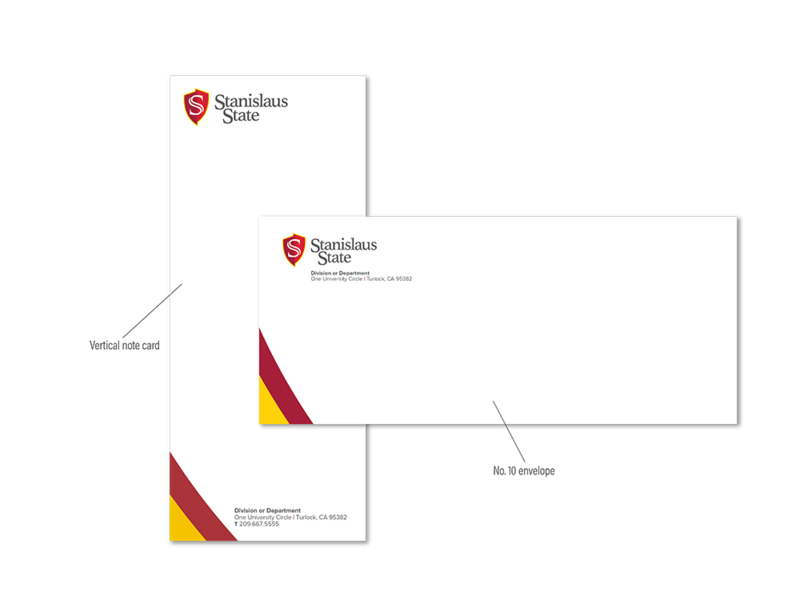 10 envelope that matches the new University letterhead as a part of the business system. We are also offering four options for a folded 4x6-inch card that fits in an A6 envelope. You may choose a white background or an image of the Sequoia Lake Gazebo, the northeast Landmark Sign, or the Library Building. Your department or program contact information will be printed on the back of the 4x6-inch folded card. 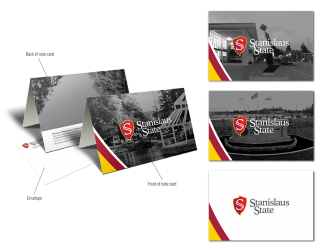 These cards are a great and easy way to share the University’s story with a prospective student or new University partner. 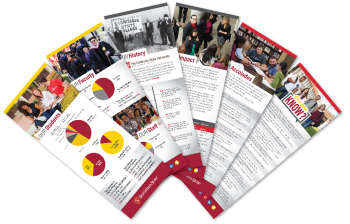 The double-sided 4.25” x 11” cards include information and statistics relating to our students, faculty and staff, our history and impact, our most recent national accolades and 13 “Did You Know?” fast facts. Minimums and pricing for the cards. If you have questions about placing a print order, or need to check the status of an existing order, please contact Stan Prints at (209) 667-3013 or reprographics@csustan.edu.